Since the early twentieth century, scientific materialism has so undermined our belief in the human capacity for transcendence that many people find it difficult to believe in God and the human soul. The materialist perspective has not only cast its spell on the natural sciences, psychology, philosophy, and literature, it has also enthralled popular culture, which offers very little to encourage the "soul's upward yearning". There are many signs of the widespread loss of confidence in our ability to soar upward, and these have been noted by thinkers as diverse as Carl Jung (psychiatrist), Mircea Eliade (historian of religion), Gabriel Marcel (philosopher), and authors C.S. Lewis and J.R.R. Tolkien. Their observations were validated by a 2004 study published in the American Journal of Psychiatry that linked the absence of religion with a marked increase in suicide, meaninglessness, substance abuse, separation from family members, and other psychological problems. Thus, the loss of transcendence is negatively affecting an entire society. It is stealing from countless individuals their sense of happiness, dignity, ideals, virtues, and destiny.Ironically, the evidence for transcendence is greater today than in any other period in history. The problem is, this evidence has not been compiled and made widely availableâ€”a challenge Father Spitzer aspires to meet with this book. Father Spitzer's work provides a bright light in the midst of the darkness by presenting traditional and contemporary evidence for God and a transphysical soul from several major sources. It shows that we are transcendent beings with souls capable of surviving bodily death; that we are self-reflective beings aware of and able to strive toward perfect truth, love, goodness, and beauty; that we have the dignity of being created in the very image of God. If we underestimate these truths, we undervalue one another, underlive our lives, and underachieve our destiny. "Spitzer's brilliant use of physics, cosmology, psychology, neuroscience, NDE studies, and contemporary philosophy reveals how all disciplines and shared human experiences converge on the truth of our spiritual nature. A grand synthesis from the pen of a master." --Michael Augros, Ph.D., Author, Who Designed the Designer? Born in Honolulu, Hawaii on May 16, 1952, Fr. 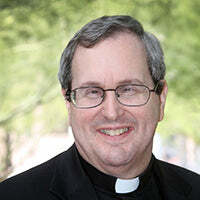 Robert J. Spitzer is a Catholic Priest in the Jesuit order, and is currently the President of the Magis Center of Reason and Faith and the Spitzer Center. He has taught courses on faith and reason, metaphysics, philosophy of God, and philosophy of science to graduate and undergraduate students at Georgetown University, Gonzaga University, Seattle University, and St. Louis University. He was President of Gonzaga University from 1998 to 2009, during which he led the efforts to build 20 new facilities, increased the student population by 75%, and raised more than $200 million for scholarships and capital projects. Fr. Spitzer has produced two television series for EWTN and received a Templeton Grant for teaching physics and metaphysics. He has made multiple media appearances including: Larry King Live (debating Stephen Hawking, Leonard Mlodinow, and Deepak Chopra on God and modern physics), the Today Show (debating on the topic of active euthanasia), The History Channel in "God and The Universe," and a multiple part PBS series "Closer to the Truth," and the Hugh Hewitt Show. He has also appeared on dozens of nationally syndicated radio programs.